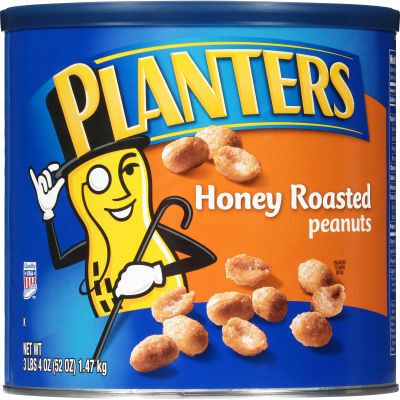 Planters Honey Roasted Peanuts boast a delicately sweet flavor and are seasoned with a dash of sea salt. Enjoy them as a snack by themselves or add them to your favorite ice cream dessert for a salty, crunchy balance. Dry roasted to keep fat content low, these sweet-and-salty peanuts are designed for maximum flavor in a healthy package. Enjoy the perfect balance of sweet honey and rich sea salt in every bite. This package contains one 52 oz canister.